This lean steak is tender, juicy, and versatile enough to use in most dishes or by itself. It is often marinated and used for kabobs. Our beef is grass fed and grain finished on our own ranch for the perfect texture and deep flavor. Humanely raised with no hormones or steroids, our animals are raised outdoors with room to roam. We provide healthy diets free of growth promoting substances and process right on the farm to minimize stress, so you get to enjoy the best beef anywhere. 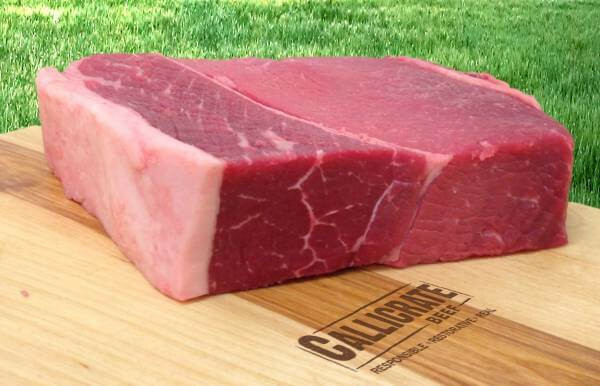 There are no additives in our meat, which is why the taste is so clean and natural.